A practice model really. Emphasis has been on getting the a nice natural tone on the horse's skin. 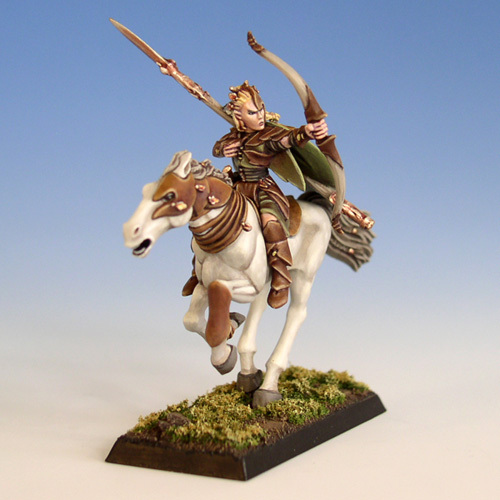 Wood Elf experts will notice the little additions I sculpted onto the horse to give the model a little personality.